If the cost of dental care at home leaves a bad taste in your mouth then our Rioverde dentists will be a breath of fresh air. Affordable, high-quality dentistry is available in this small town in Mexico’s largest state, San Luis Potosi. 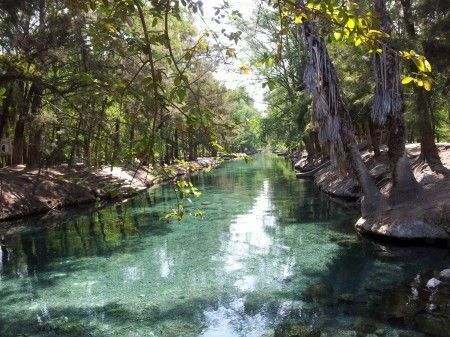 Rioverde is set among lush surroundings and is a popular destination because of its year-round pleasant temperatures, and its crescent-shaped lake, called the Media Luna. The lake has swimming and camping areas and attracts scuba divers to its +50 meter depths. Subterranean seems to be the order of the day around the area with the Las Grutas del la Catedral y del Angel located nearby. 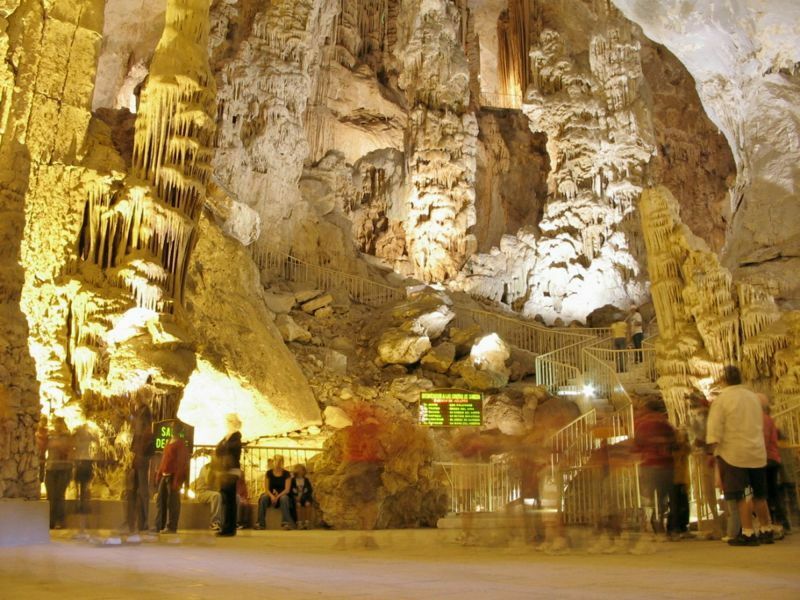 The formation of the stalactites and stalagmites in these underground caverns have created a cathedral-like interior with a pulpit and choir in one cavern and another resembling an angel at the other. On the east side of the Sierra Madre mountains is the Sotano de las Golindrinas ‘The Cave of Swallows’, one of the largest, open pit-caves in the world and home to thousands of birds that have made their homes in holes in the cave walls. A couple of hour’s drive from some of the State’s major tourist destinations, and some 80 miles from the State Capital, Rioverde is an excellent place to visit for your dental care, and to enjoy some of the breathtaking natural scenery the state of San Luis Potosi has to offer. Rioverde is in the north-Central Mexican state of San Luis Potosi. It is 80 miles east of the State Capital, San Luis Potosi. 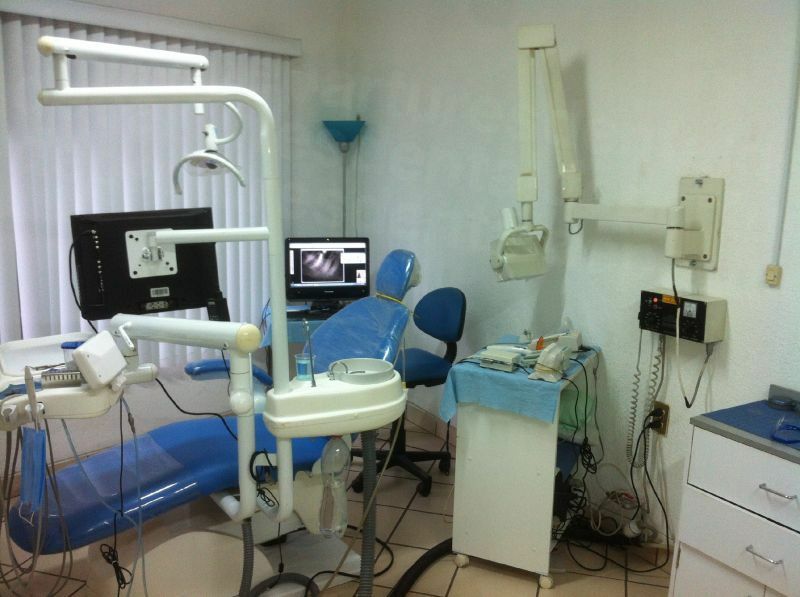 Why visit a dentist in Rioverde? Rioverde is a small town with pleasant weather all year round. If big cities, or beaches or heat aren’t to your taste then Rioverde may be the answer. It is in a verdant part of the world and there are certainly some eye-catching wonders worth going to see that Mother Nature has provided. Dental care here is as good as anywhere with up-to-date facilities and well-qualified and trained dentists. With savings, on average, around 60% less than at home, you can afford to have a decent break, relax and discover the varied amenities the area has to offer. As you would imagine, there are a myriad of accommodation options in Rioverde to suit all pockets and tastes. From ecolodges complete with pools and other leisure activities such as horseriding and paddle-boating to basic hotels which still offer amenities such as wifi you’ll find something that appeals. There are no warnings from the US travel advisory to avoid the state capital, San Luis Potosi, but there are concerns about travel throughout the state, so you should avoid traveling on the highways between towns at night. It is worth bearing in mind that thousands of US citizens cross the border each day into Mexico and come to no harm. There is no evidence that Transnational Criminal Organizations (TCOs) target foreign visitors or residents based on their nationality, but this is why it is recommended you stay vigilant so that you don’t get caught up in any problems. This advice would be true of any foreign city you visit, not just in Mexico. Although it is changing, there is still a stigma that dental treatment in Mexico, just because it costs less than at home, is somehow inferior. We know that Mexico is a massive country, and we cannot vouch for every dentist here, but in our experience, if you do your research you will be able to get a pretty good idea before you travel whether your dentist is a reliable one, or not. This is why we perform background checks – legal and criminal – on all our verified dentists and if there is something we are not happy with, we just don’t list them on our website. Our checks also extend to dentist qualifications and experience, as well as to clinic facilities. We take high-resolution photos and videos of the clinics and these are all freely available on our website for you to check out, along with thousands of real patient reviews. All these measures give you a feel for a dentist or clinic, enabling you to look before you book and make an informed choice on whether that particular clinic is right for you. We are pleased to say that the overwhelming majority of dentists in Mexico we have dealt with take their profession very seriously. Unodubtedly, those who are involved in treating overseas patients are keen to demonstrate their professionalism, taking training in, for example, the US and becoming members of the American Dental Association, which means they have to adhere to the same requirements as their American counterparts. No matter how thoroughly you research your dentist, any medical and dental procedure comes with an inherent risk and, very occasionally, things do go wrong. What we can say is that all of our dentists have warranties or guarantees on their work, and on the materials they use. The length of these vary from clinic to clinic and are also dependent upon the procedure you have. Of course, the warranty is only respect of the dental care, not travel or accommodation costs, and if this would be a major expense for you then it may be worth your while taking out a low-cost insurance plan to give you complete peace of mind should you need to get back to your dentist in San Luis Potosi. Our dentists speak English and you shouldn’t have a problem making yourself understood in Rioverde. US cash is accepted by all of our dentists and most accept a variety of other payments, including debit and credit cards, personal/traveler checks and bank transfers. Check out the individual clinic listing on our website for the payment method accepted by your dentist in Rioverde. Credit card payments usually incur an additional charge of between 3-4%. Your dentist in Rioverde will not usually be able to accept your insurance directly, but if your provider permits ‘out-of-network’ care you should be able to claim back your expenses when you get home. If that’s the case your money will certainly go a lot further here. Remember to check with your provider and to get all the appropriate forms and documents before you travel. When is the best time to visit one of our dentists in Rioverde? Rioverde is blessed with a pleasant, spring-like climate pretty much year-round. During the winter months you will need some warm clothing of an evening and from April to November it is the rainy season so watch out for brief, heavy downpours in the late afternoon. Our dentists are open all year round and there is no restriction on when you can visit. You will always find wheelchair-accessible hotels but getting around generally is a rather hit-and-miss affair – sidewalks are sometimes steep, with holes and other obstacles, if they exist at all. People are generally friendly and quick to help if you do get into difficulty, and many of our dentists have hotel pick-up services which make things a whole lot easier. We can always get you to one of our affordable dentists, so just give us a call to let us know your requirements, and we’ll see what we can do to help. Local anesethesia is the standard method of pain relief in Mexico. For dental patients who require sedation dentistry this can be arranged by most of our dentists, but you will need to book it in advance as the services of an anesthesiologist are required. This incurs an additional fee of between $400-$600. Valium, or other prescription anxiety medication will also need to be ordered in advance. What else is there in Rioverde? There are 4 water parks here, equipped with awesome water slides for the adventurous, or you can doze or picnic under the shade of a palapas. Just outside of Rioverde are a number of towns, including San Martin, San Diego, La Loma and El Refugio which are renowned for their annual traditional festivities which honor the town’s local patron saints. If you are around between 4-12 July it’s certainly worth the trip. Santa Maria del Rio is another interesting little town to visit, and is famous for its Rebozo weaving – a Rebozo being a woman’s garment that is a rather like a scarf or shawl. Further afield there is the rustic mountain river town of Tamasopo. It is around an hour and half’s drive away but there are hotels and campsites to stay over. Similarly, the Magical town of Xilitla is around 2 hours drive and is worth the trip alone for its beautiful setting, cozy restaurants and laid-back atmosphere. 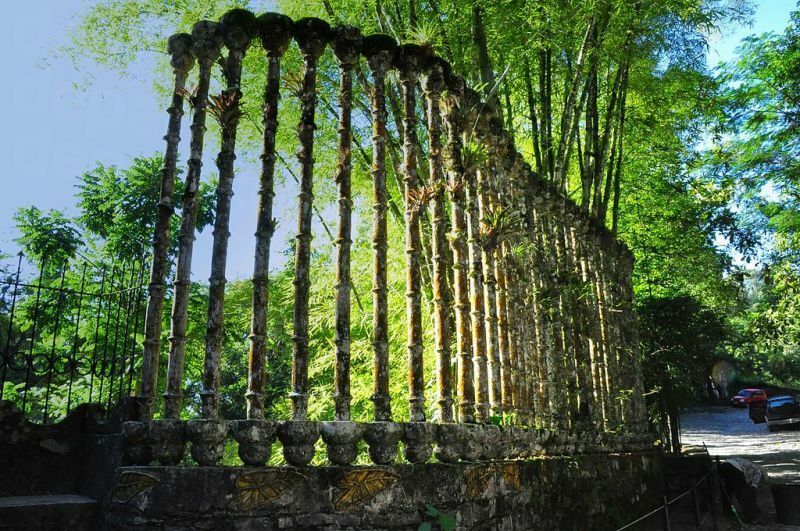 However, Las Pozas, the collection of surrealist sculptures put together by English eccentric Edward James in the middle of a tropical jungle makes it a double reason to come here, and one which is certainly a unique experience. There are small airports at Rioverde and Matehuala, but the state’s major international airport is in the city of San Luis Potosi, but this two only serves two international destinations – Dallas and Houston. Tampico airport to the East of Rioverde is larger with more international connections. Otherwise, you may have to fly into Mexico City and take a domestic flight from there. Find and book an appointment with our dentists in Rioverde by emailing us, calling our toll-free number of using our online chat facility. We guarantee you the best prices and an experience with our quality-checked dentists that will make you wonder why you never did it sooner.